It has been another big week in Scottish football with plenty to talk about, even before we get to this weekend's fixtures. 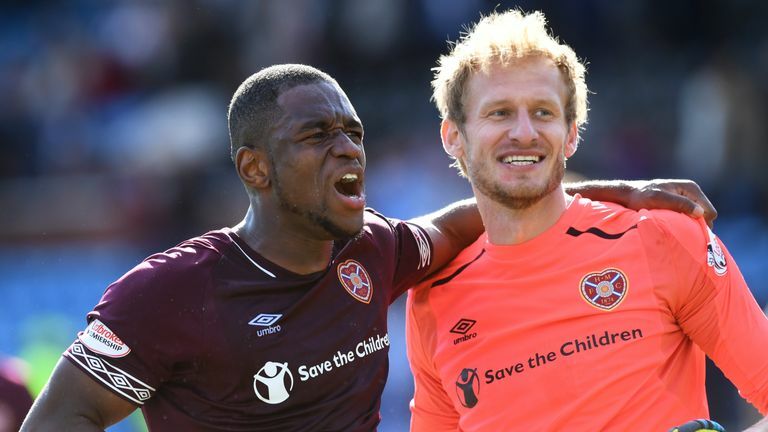 Last week, we saw Hearts maintain the only 100 per cent record in the Scottish Premiership, Motherwell battle to grab a late point against Rangers, and Dundee remain pointless after three games. Livingston got off to a winning start under new manager Gary Holt, Hibernian and Aberdeen played out an entertaining draw at Easter Road, and champions Celtic got the job done against Hamilton. 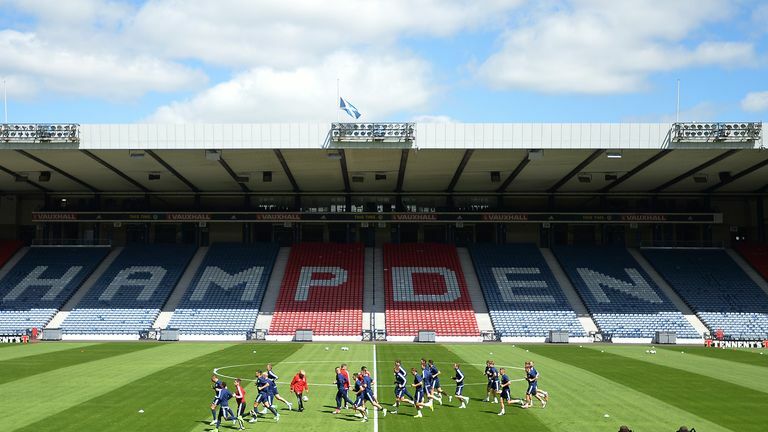 During the week saw the Hampden v Murrayfield debate rumble on for at least another seven days after the Scottish FA asked for more information from both parties. A manager who left his job last week has been appointed at Dundee, but Kenny Miller has signed a two-year deal as a player as Neil McCann's side look for an answer to their woes in front of goal. We were all glad to hear from Hearts manager Craig Levein following his admission to hospital, and he's already targeted a return to the dugout in just two weeks' time! His commitment to the job is such that Austin MacPhee admitted Levein will still pick the Hearts team for their home game against St Mirren on Saturday as he continues to recover at home. In the Europa League, Celtic and Rangers progressed to the group stage after wins over Suduva and FC Ufa respectively. Steven Gerrard will meet Brendan Rodgers for the first time as a manager when the Old Firm kicks off on Sunday, live on Sky Sports Football. On-loan striker from Manchester United James Wilson will add a lot to the strikers' department at Pittodrie. Four games without a goal for Kris Boyd - he must be due to end this mini-crisis! Michael Devlin is thankfully back to full fitness and showing he's capable of playing for a big club. Greg Stewart didn't really shine at Aberdeen but if he gets back to anything like the player he was at Dundee, Stevie Clarke has added a creative player. Management will be for another day for Kenny Miller. I'll be surprised if he doesn't make his presence felt quickly. Danny Johnson has a terrific goal tally in non-league and at the moment looks the most likely of Motherwell's strikers. Worst possible start to the season for Dundee, they'll have to match Motherwell physically to have a chance. Adil Nabi could provide an attacking threat. 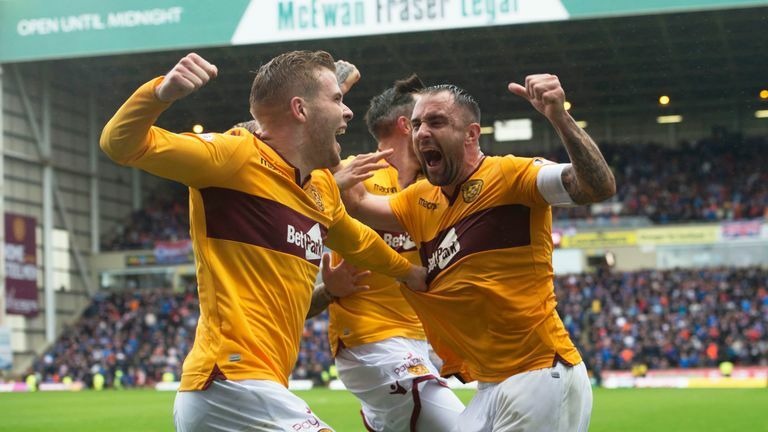 A big performance from Peter Hartley last weekend in that pulsating 3-3 draw with Rangers and Motherwell have a number like him who are dangerous at set pieces. Steven Boyd could grasp the opportunity of a run in the team after his Lanarkshire derby stunner. Matty Kennedy is at his third Scottish club and seems to be relishing his return to Scotland. A more effective player when played deeper, Darian Mackinnon's energy for the side is always important. Given an extended run, Blair Alston could become a regular goalscoring threat from midfield. Demetri Mitchell is back on loan from Manchester United and I'm glad we're going to see more of him. Unfinished business. St Mirren have a leader in Stephen McGinn, and his guile and experience will come in rather useful. A huge boost for John Souttar to be moved from U21s to senior Scotland side for the internationals next week, can he take his chance? 25-year old Dane Nicolai Brocks-Madsen signed on loan from Birmingham - Alan Stubbs is desperate for a goalscorer. Alan Lithgow came in from the cold to make his mark at St Mirren last week. Mostly a sub so far but Jamie Maclaren is still likely to make a difference whichever way. A brilliant moment for Jack Hamilton to score an important goal at St Mirren last weekend, more to come hopefully. Signed from Preston on a three-year deal, Neil Lennon has high hopes for Irishman Daryl Horgan. Celtic's Wizard of Oz has scored in his last 4 Old Firm games. Tom Rogic is a man for the occasion. Any big occasion come to think of it. Kyle Lafferty is a man who knows the occasion and relishes every bit of it. Already scored a winner against Celtic this season. He couldn't. Could he? Scott Brown has dominated in the middle of the park in this fixture for years, fascinating contest with Ryan Jack his latest challenge. Ryan Jack's battle with fellow No 8 Scott Brown will go a long way to deciding outcome. Rangers have been weak in this area for too long.